When kitesurfing began, the places in which they sailed were those spots where windsurfing was already practiced. Little by little, when kitesurfing became popular, spots began to appear exclusively of kitesurfing, in which only people were seen doing kitesurfing. Nowadays, new kitesurf spots appear almost every day. This is due to the fact that more and more people are hooked on this sport and that the conditions to practice it can be found almost anywhere; minimum of 12-14 knots of wind and a large expanse of water. 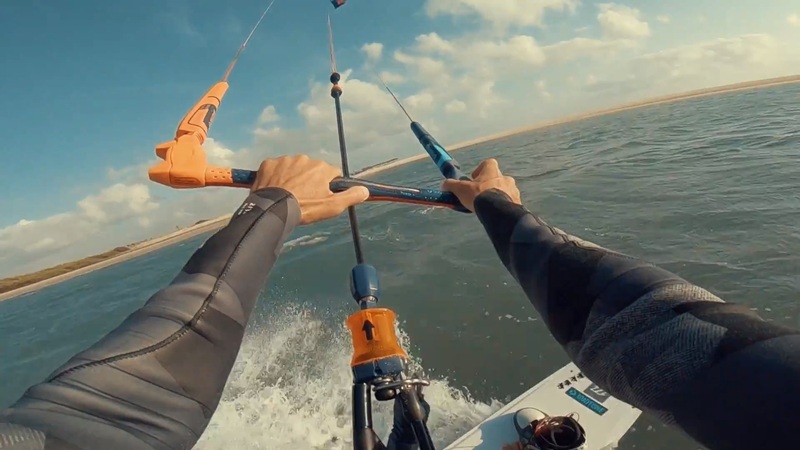 This time, our destination is Brazil, Tomer Fayer brought us a video to explain why among all the kitesurfing destinations that exist in the world today, the Northeast of Brazil is undoubtedly number 1. BRAZIL a country with an incomparable cultural and natural wealth; land of carnivals, of samba, of exuberant forests, of great metropolises, of world soccer, of thousands of kilometric beaches full of coconut trees that reach beyond that reaches the sight, land of the friendliness and joy of living. It is a country that you can not miss and a kitesurfing trip that you can not stop doing. Northeast Brazil has more than 1200km of navigable coastline that spans the states of Rio Grande do Norte, Ceará, Piaui and Maranhão, with countless spots of waves and lagoons, many hidden among landscapes of dunes that take the sigh away. The sailing conditions are perfect and we are not only talking about the eternal constant wind, but also the tropical climate throughout the year and the joy and generosity with which the locals receive you in your land! Who seeks to make an epic kite trip with an unparalleled cultural experience, Brazil is the ideal destination, there is no better. With so many spots to choose from, we guarantee that it will be one of the experiences of your life. Endless downwinds navigating through completely wild places where you will have all the conditions you can imagine. 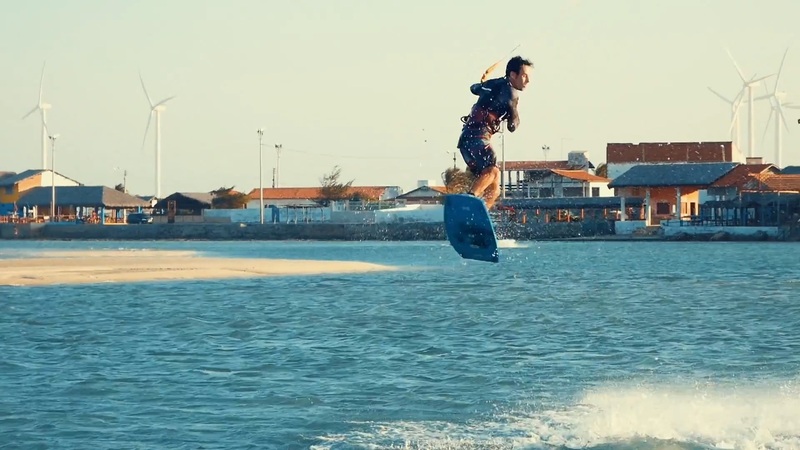 Whether you are a beginner who wants to take the next step in kitesurfing or have years of experience and want to push your limits further, Brazil will be your perfect scenario to achieve it. CUMBUCO Located a little over half an hour from Fortaleza is the first spot that was developed from kitesurfing more than a decade ago. It is ideal for those who do not want to make large transfers and Taiba and Paracuru spots are easily accessible by buggy. It is the birthplace of the current Freestyle Brasileiro world champion, as well as a mandatory stop for all World Cup professionals. It is internationally recognized as one of the best places in the world for Kitear. It is the perfect place for all levels and disciplines of kitesurfers for the varied navigable offer that offers, from flat water lagoons to train your best maneuvers, spots of incredible waves or kilometric crossings along the coast making dreamlike DownWinds. A must for those looking to reach their next level! It is a fascinating place with many contrasts: mangroves, extensive beaches of fine sand, colonial churches, monuments, big cities like Rio de Janeiro, Salvador de Bahia and small coastal towns. The diversity of culture and landscape is reflected in its people. Although all of these are good reasons to visit this country, it is the enormous reliability of the wind and the different sailing conditions that are the reason for windsurfers and kitesurfers from all over the world to visit Brazil. An endless list, but the reason why you are on this website is to know how is kitesurfing in Brazil. It is really one of the places in the world that offers more possibilities to practice kitesurfing, no matter what conditions you are looking for, here you will find them. Great editing and surf like a pro ! I like this !! very well edited! Good job! nice video, what’s the name of the spot? and location pls?! I love it – thank you! Really nice ! Just need a bit of old school! Not tutorials but big megaloop! Thanks ! Working on some more videos to come ! Would you like to see old school tutorials? Such a high production quality video, love it!